Members of the US Women's Army Corps at Camp Shanks, New York, on February 2nd 1945. This photo was taken before the women shipped out to Europe as part of an 800-strong Black American WAC battalion serving in World War 2. 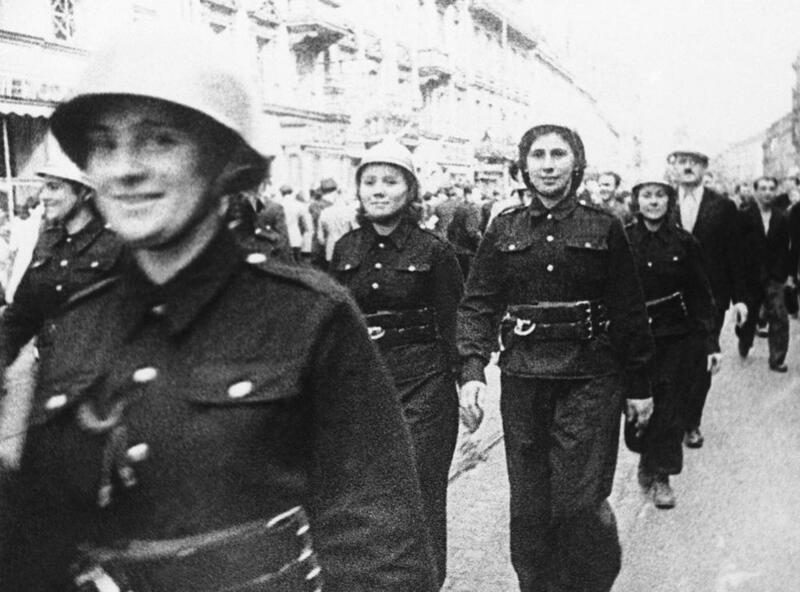 Women members of the Maquis display the rifles and pistols they used to fight the Nazi garrison in Marseille before the entry of Allied troops, 1944.